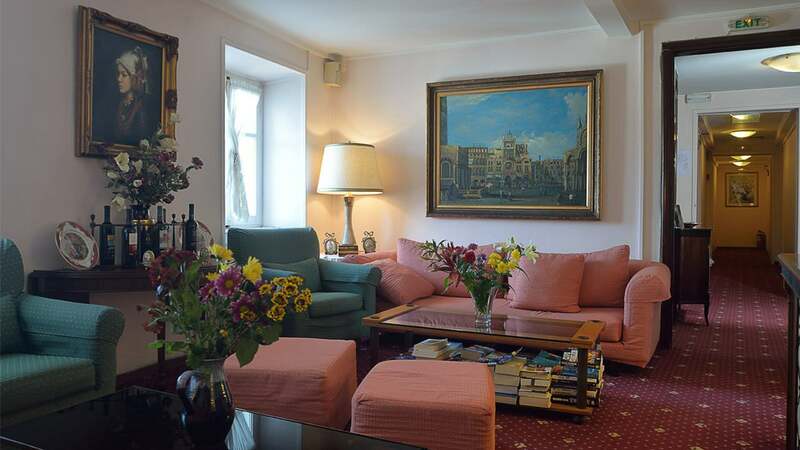 Konstantinoupolis is a traditional hotel housed in a restored 19th century building. 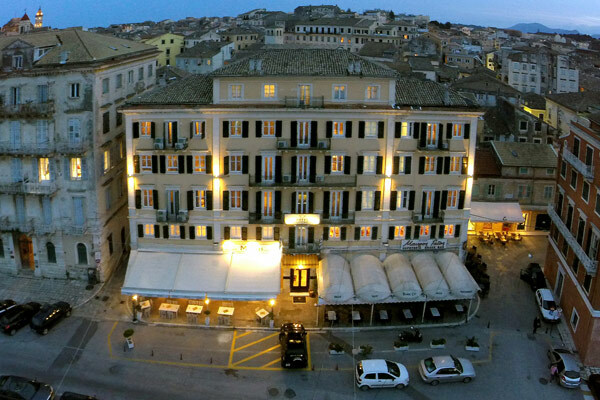 Located in the center of Corfu town, it offers a panoramic view to the sea and the islets of Vido and Lazaretto. 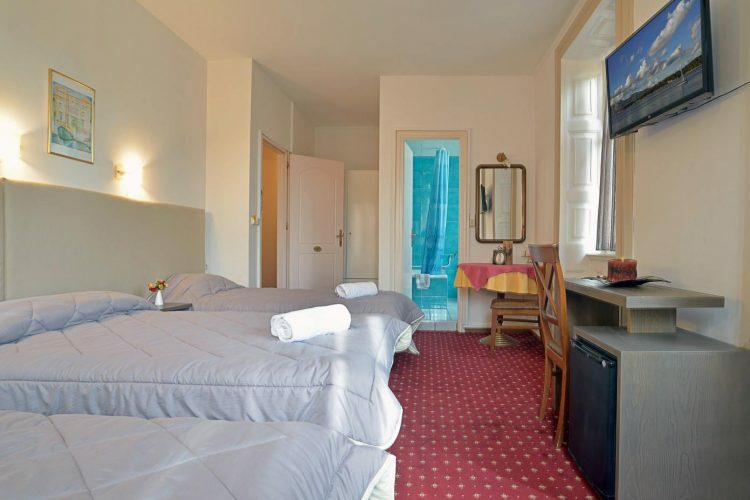 The hotel disposes 31 rooms with individual air conditioning, flat TV 32’’, hairdryer, mini fridge, private bath, direct dial phone and free Wi-Fi. Breakfast is served in a buffet-style and includes hot and cold dishes. 24 hour room service is available. 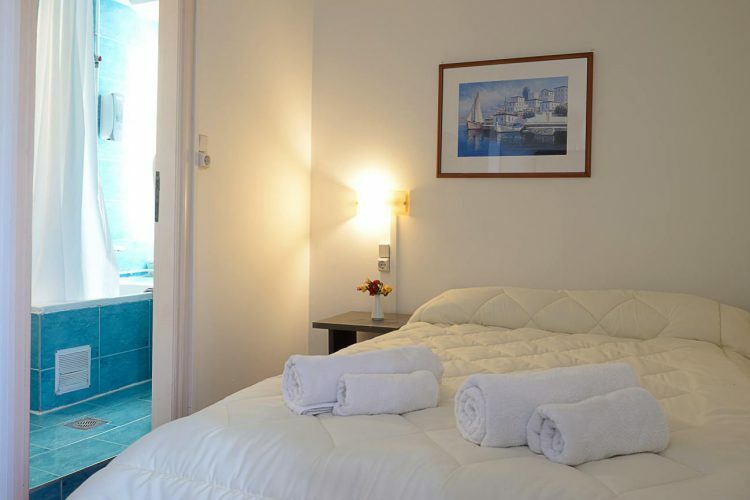 Hotel Konstantinoupolis provides snack bar, lift, luggage storage room and free wireless internet in all areas. 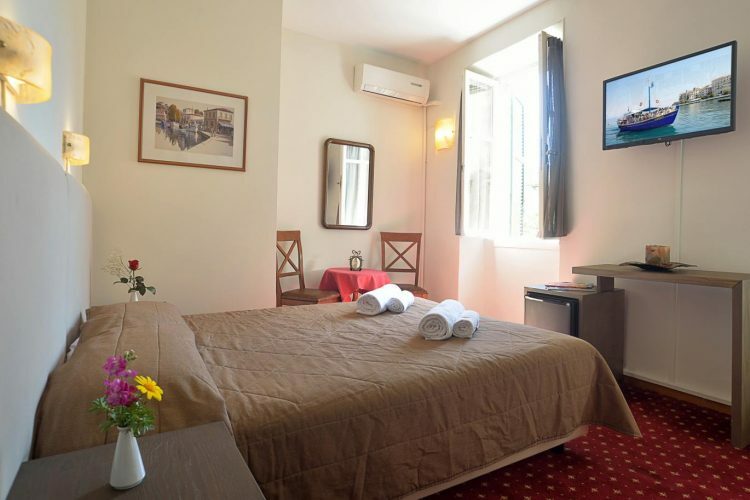 The hotel is less than a 10 minutes’ walk from the famous Spianada square, 3 km away from the Ioannis Kapodistrias Airport and 1 km from the port (Port’s destinations: Igoymenitsa, Paxos Island and Albania.). Municipal parking area is located just opposite the hotel. Hotel Konstantinoupolis is traditionally renovated with great respect to the history and the architectural culture of the island. The hotel was built during the British Protectorate (1814-1864) and opened in 1878 offering room and board, by a family from Konstantinoupolis (Istanbul), hence the reason for its name. The hotel was in great demand among the business community of the time as well as the high society of Europe who chose Corfu for their holidays, and attracted various celebrities and artists who came to the island to perform. The “Konstantinoupolis” has been faithfully restored keeping the original features and respect for the history and architectural tradition of Corfu. Open constantly from 1878 up until 1993 it came into its own once again under new management in spring of 1997. This Traditional Hotel stands out for the excellent value of its quality services, its multilingual staff along with its charming Greek hospitality. Reception, Snack Bar and Room Service is available 24 hours daily. Free WI-FI Internet access, Lift, Luggage storage room. Municipal Parking area just opposite the hotel. Breakfast is served in buffet style with hot and cold dishes and a selection of coffees (Nescafe, Espresso, Cappuccino etc). Small economy twin room between 12-14 m2 (real feel 11m2), equipped with 1 double bed 145×192 cm or 2 singles 95 x 192, private bath, kettle, hairdryer, air conditioning, T/V 32”, fridge and free WI-FI. This room faces a small alley without balcony.